PPCGeeks.com – New ROM Alert! 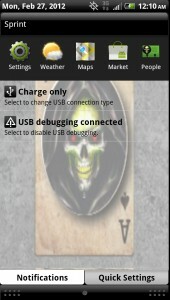 Reaper24’s Evo 3D ROM. 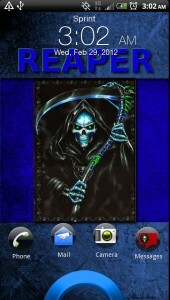 If you own an Evo 3D and want to flash something that will speed it up but also custom theme it as well as some other nice tweaks, Reaper Rom may be for you. 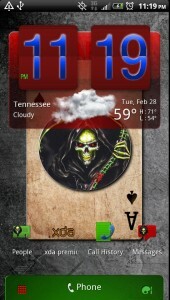 As an avid Android user for a while, I love flashing ROMs, kernels, themes, and various other tweaks. Chef Reaper24 started hosting his ROM here and it looks to be very promising, with various theme tweaks, a stable stock kernel, a 2.17 base, and of course bloatware removed. 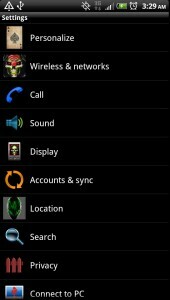 Along with the theme comes custom icons, transparent notification bar, and various other theme tweaks you will notice immediately. He promises more themes to come so check his thread regularly here. Let him know what you think of his ROM, and (as with all chefs) don’t hesitate to donate to his coffee fund if you really like his work, that way he can stay up later into the night working on his ROM. Check out the screen shots below. Stay tuned to our front news page as I post more heads-up articles on various ROMs.